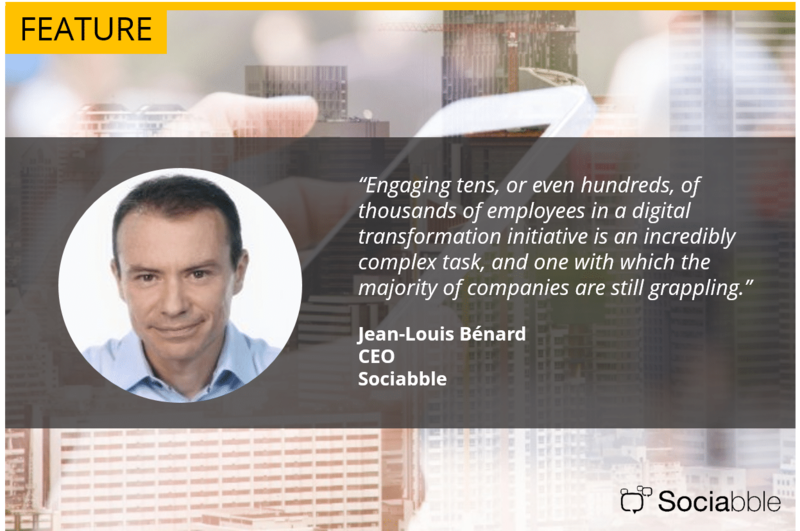 This is a guest post by Sociabble CEO Jean-Louis Bénard. An increasing number of awards are being created for digital transformation within the enterprise: which company has the best hackathon, the most effective multi-channel approach, the greatest amount of employees with smartphones, the best auto-Uberization service… But engaging tens, or even hundreds, of thousands of employees in a digital transformation initiative is an incredibly complex task, and one with which the majority of companies are still grappling. 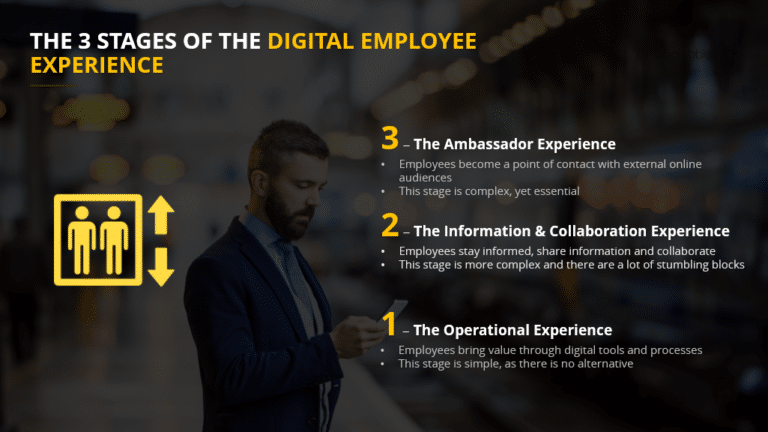 The first challenge lies in identifying levels of maturity in terms of employees’ digital experience. In fact, it’s not even certain whether we should include the word “digital” here, as the transitions with which employees are confronted surpass the digital environment, and spread into the realms of management and organization. The digitalization of the operational experience involves providing employees with tools that enhance their workflow; tools that enable them to do what they are paid to do more efficiently, and to a higher standard. It’s about replacing train ticket inspectors with scanners; providing sales teams with CRM systems that make it easier to manage client relations. Suffice to say, companies don’t have too much trouble doing this. It doesn’t always take place in the most streamline, systematic way – which is why there are sometimes internal inconsistencies. But we are so quick to criticize companies’ lack of tactical initiatives – their partiality for gargantuan, overly ambitious, slow projects – that we can’t deny them a little pragmatism. This process of digitalization is often accompanied by organizational evolutions; the adaptation and de-compartmentalization of workflows – another area in which companies have made considerable progress. This stage is all about transforming the way in which employees are informed, inform each other, and collaborate. It is a key element of digital transformation. But most companies are yet to leave the starting blocks, even after years of trying. Most emails go unread and nobody stays adrift of intranets, while enterprise social networks – despite the initial novelty – gain little traction. It must be said that the task at hand is incredibly complex, not least because most information is not essential. Managers will still pay employees at the end of the month who don’t use enterprise social networks. However, managers also wonder why they have time to spend doing something other than the job if employees do use enterprise social networks. This misalignment between the operational experience and the sharing of information is the tragedy of digital transformation. Collaboration works best when it takes place on or around the project in question. For example: a marketer working with a supplier and their manager on a video doesn’t discuss the project on an enterprise social network, but comments directly on the video timeline. Why? Because when the collaboration tools used are external to the project itself, there is a greater margin for error. 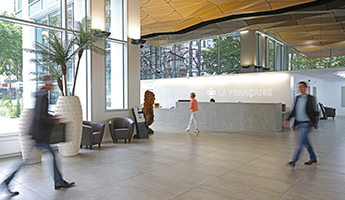 The third and final stage sees employees become ambassadors. This begins internally, as they share company information with each other, and continues externally. As brand advocates online and on social media, employees act as touchpoints that better enable their company to amplify messages and engage with clients, prospects and potential job candidates. 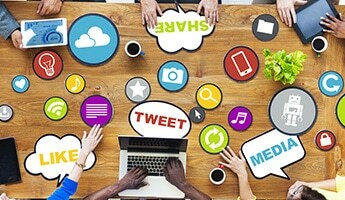 For a company with 10 000 employees, each of whom has 500 connections on each social network, there are 5 million potential audience touchpoints. 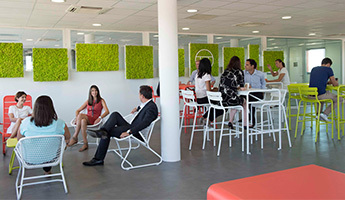 But each of these employees must understand the individual benefits of this; while management must consider employees’ messages an opportunity rather than a threat. Having spent most of my career helping companies at stage 1, I now dedicate a lot of energy to those that are addressing stages 2 and 3. This is what led to the launch of Sociabble, an employee advocacy and social selling platform. In three years we have learned a few things. Especially because more than 60 countries use the solution. There’s no point French bashing – all large groups, regardless of their origin, face the same challenges. The USA, Europe, India… the same complexities exist everywhere. These include encouraging tens of thousands of people who are incredibly focused (and rightly so) to take a step back from their immediate, operational objectives; aligning the operational experience and the sharing of information; engaging people in subjects that aren’t essential, or that border on the recreational (social media). As always, if management doesn’t believe something is important; if they’re not behind an initiative and don’t lead by example, it will always be an uphill struggle. There’s no room for bluffing. Every group must have clear, tailored KPIs, incentives and rewards. 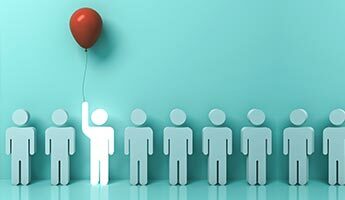 Expectations are not the same for managers as they are for a controllers, sales teams, or employees on the production line. Also, how stages 2 and 3 contribute to stage 1, must be clear. Sales teams will engage in social selling only when they understand how it helps to achieve business results; to widen their network and develop their employability. The quality of the content made available to employees is crucial. This applies to company content; as well as external content that enables employees to stay informed, to maintain industry awareness, and to develop thought leadership by sharing content in order to showcase their own expertise. Employees must raise all obstructions; they need to be able to stay informed and share information, both internally and externally, using their computer and their mobile (personal or professional), and at the click of a button. Users must also maximize engagement through initiatives such as gamification. The good news is that for want of achieving all this, most companies have at least diagnosed the problem. This is a massive step in itself. Many companies are launching initiatives that they must sustain in the long term; and they learn alongside their employees. Everyone makes progress on a daily basis. I hope the same can be said for you.